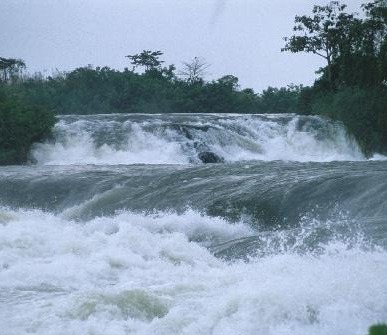 River Nile is well-known for its being the longest river in the whole world and by the fact that its source begins in Uganda, so many foreign travelers have under taken Safaris in Uganda in order to confirm and witness by their naked eyes that the pearl of Africa is really the source of the Nile. The name of the stunning world wonder River Nile was got from the Greek word Nile which means valley. The world’s longest river starts from the North-east part of African Continent in small country called Uganda and it continues to flow to nearby places which are adjacent to the Equator until it lastly pours its waters into the world’s Mediterranean Sea. The popular River mainly has two twigs i.e. the White Nile which is the longest and the Blue Nile which stretches up to Khartoum where it ends up forming the precious central part of the Nile. Reserving Uganda Safari specifically to River Nile will provide visitors the diverse Adventure like tourism activities and among these include Bungee jump, water rafting, Kayaking, fishing as well as boat rides. The best way to get the everlasting experience of the Nile is by taking Nile cruise and here one will be enable to experience the hidden treasures of the longest river in the world. For any traveller planning to tour Africa, he or she should look no further than booking safari to Uganda which is the pearl of African, meaning that the whole beauty of African continent is summarized in one small land locket country Uganda. The beauty of the Nile has attracted many international and local tourists to book safaris and tours to Uganda especially to Jinja where the source of the Nile is located. Once the visit arrives to this part of the world, he or she will truly come to confess that Uganda is the Pear of Africa and its deserves to be number one travel destination for all the generations, Just a short distance from the Jinja town visitor will be welcomed to Bujagali Falls which is the capital for adventurers in whole of Africa with world class five Grade white-water rafting as well as interesting mountain-biking and the tremendous kayaking among others. These enticing, interesting, and above all body building activities which can be explored when visitor takes Uganda safaris to Jinja destination present exceptional world class experience which no visitor can get it elsewhere apart from Uganda the only land gifted by God. Sparing time and resources to book safari to Uganda will be so much rewarding to any world class traveller interested in adventure and relaxing the mind from home stress and city hassles. Once visitor arrives in Uganda he or she is welcome with the cool breath and green vegetation right from Entebbe international Airport before even taking step and when the visitor takes step along the interesting course of the longest river Nile, he or she will meet Lake Kyoga which supplies the Nile with water. From that point visitor is continued to beautiful Murchison falls national park where the Nile also pours fresh cool water. At this particular point visitor will enjoy various activities such as spot fishing as well as having scenic view and participating in the wonderful game drive in the largest park in Uganda. At the end of the day visitor would have received a serious thriving experience before even visiting a quarter of Uganda’s interesting attractions.